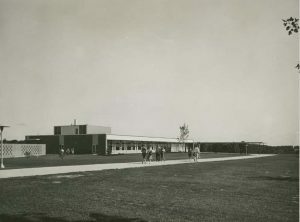 The Oakland Center (OC) was one of Oakland University's initial construction projects, designed to promote student recreation between long class hours in Foundation Hall. The building was divided between a kitchen, a cafeteria and a private dining room, a bookstore, offices, and a student lounge. Initially proposed to accommodate 1,500 students, the OC was specifically designed to favor future expansion efforts as Oakland's enrollment increased. 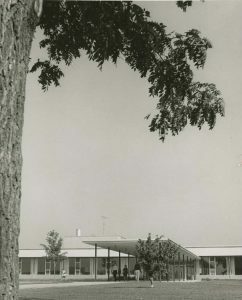 The first addition was built in 1961 on the north side, only one year after the completing of the original building. The new student center got its name of "Oakland Center" from Chancellor Woody Varner, to honor the Oakland County Board of Supervisors whose financial support had made the building possible. Varner wanted it to be a true gathering place that would help build a sense of community (Todd Haight, "A Center Like No Other," OU Magazine, Winter 1998). 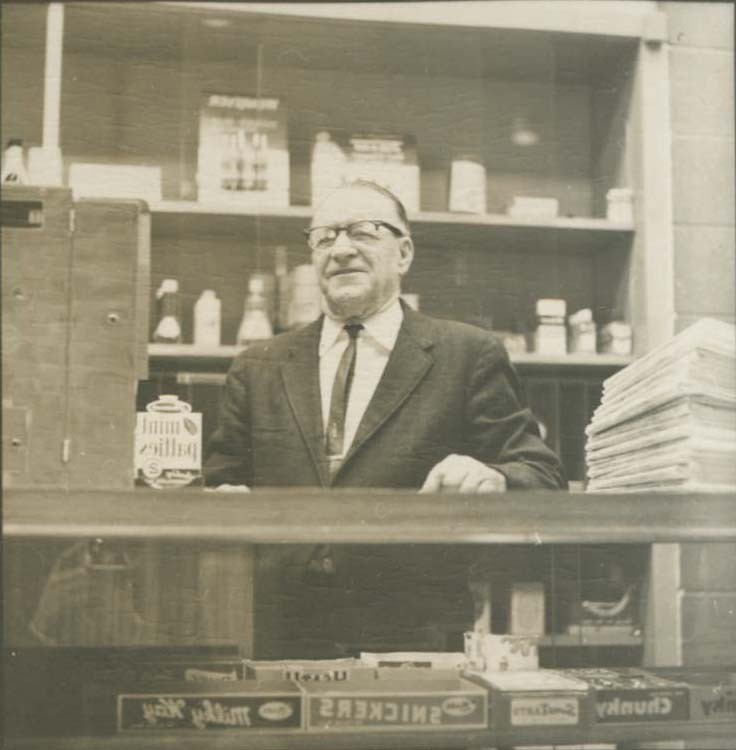 Inside the new student center, services multiplied over the years, including a barber's, cleaner's, bookstore, and information desk. After the first expansion in 1961 a fireplace was added in 1962. 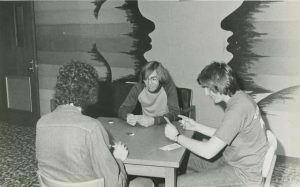 While the intention for the OC was to provide students with a place to relax and unwind, it also served as a center for meetings and events related to academics, culture, recreation, and student services. 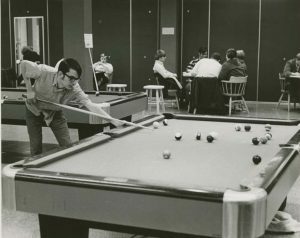 With several meeting rooms able to accommodate lectures, guest speakers, and ceremonies, the OC hosted a variety of special events - from awards banquets and celebrity visits to poetry readings, art fairs, and weekly dances in the 1960s. 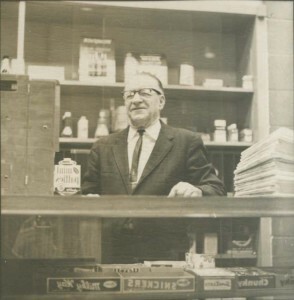 The OC was also home to Charlie Brown's, a small concession shop which sold newspapers, magazines, snacks, and cigarettes from 1959 until 1980. 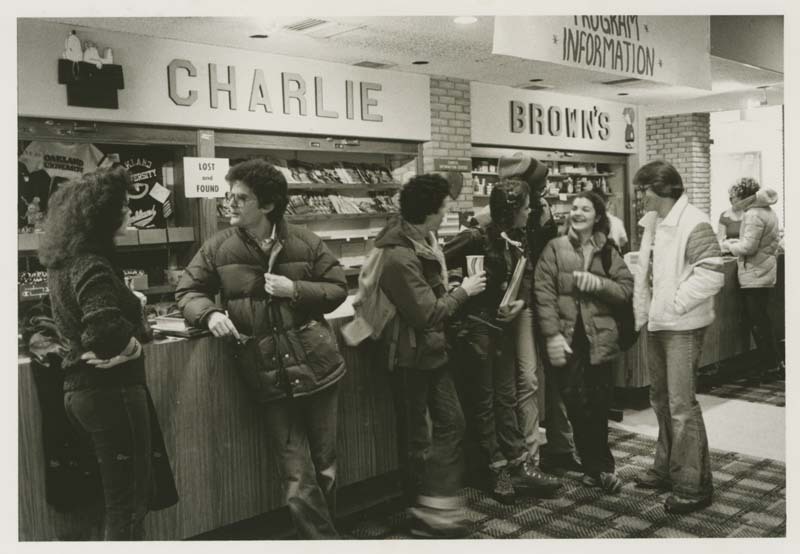 Operated by Edward "Charlie" Brown, both the stand and its owner were extremely popular with students, who frequented the stand for its convenience and charm. In 1970 40,000 square feet were added on the south side, nearly doubling the size of the OC. 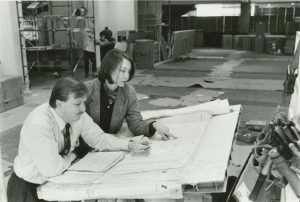 The $2.4 million expansion was designed by Swanson Associates and built by E E Powell General Contracting, a Pontiac company. At the same time, the lower level was fully remodeled. remodeling, especially lower level. For the first, time, carpeting was installed throughout. The renovated OC lower level featured a new grill area, decorated as the Rathskeller (tavern feel), an expanded cafeteria, 5 new lounges, new club rooms and recreation areas. There was a music listening lounge, equipped with earphones, tape decks, and turntables; an exhibit lounge for artists and photographers; the fireside lounge, and 2 other lounges for male and female commuters. 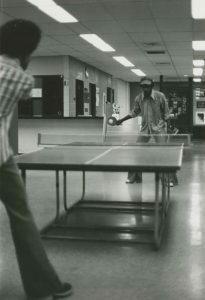 The bookstore was also expanded as well as the student activities offices and the games room (with billiards, ping pong, and checkers table as well as rentable games). The juke box room could be used for "impromptu dancing" ("New OC Complete," Focus at Oakland, Feb. 4, 1970). At the dedication ceremony, the portrait of Isaac Jones, OU's first black graduate, was also unveiled in the presence of his mother, Mrs. Wade Jones ("Addition at OU is Dedicated, Pontiac Press, Feb 4, 1970). 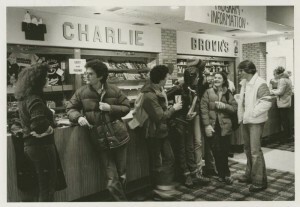 An expanded information desk was dedicated as "Charlie Brown's information desk", for the charter staff member Charlie Brown who had retired in the summer of 1969. Charlie Brown's would stay open until 1982. In January 1997, the Pioneer Food Court opened on the main floor. With seating for about 500, it featured a Starbucks, fast food eateries (Taco Bell, Pizza Hut and Burger King, DC Subs), Meadow Brook Farms and Center Stage - a place where chefs cooked hot entrees to order. A few months later the Fireside Lounge was refurbished with new furniture. In 1999, a full renovation of the lower level was completed. It offered internet access for the first time, with a renovated games room and bookstore. The southwest wing - hosting today's banquet rooms - was dedicated in September 2003, adding 30,000 square feet to the building, including the Cafe O'Bear, more study space, a larger dining area with 330 additional seats, and wireless internet connection in a 24-hour computer lounge. This was an $8 M, 2-story expansion. The design by DSA Architects won an Honorable Mention by the Education Design Showcase, a supplement to the School of Planning and Management and College Planning and Management magazines. Started on April 6 2018, the OC expansion project was completed in Fall 2018. It added 60,000 square feet to the 140,000 sq.ft facility. The new space allowed for expanded food services, new meeting rooms, study spaces, a grand ballroom that can seat over 1,000, and more. Glass facades on the north, south, and east sides let more natural light inside.